Nancy is the first Executive Director of the Strome Entrepreneurial Center at Old Dominion University. She has an extensive background in entrepreneurship, development, and marketing across several business sectors and the public sector. She is co-founder and former General Manager for Genomind, Inc., a neuroscience biotech company. She held senior executive positions with Amerigroup (now Anthem), ValueOptions (now Beacon Health), and Bank of America, and has lead start-ups as CEO for Lifescape, LLC, a pioneer in web-based behavioral health care, among others. She advises, coaches, or serves as a board member to start-up/new companies, b-corps, and new business incubators and was appointed to the Virginia Governor’s Council on Youth Entrepreneurship and the University of South Carolina Faber Entrepreneurship Center Advisory Board. 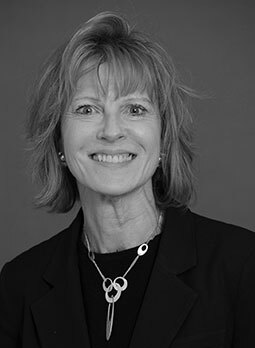 Nancy holds a Master of Urban and Regional Planning from the University of North Carolina, an MBA from the University of South Carolina, and a BA in Economics from Bucknell University.